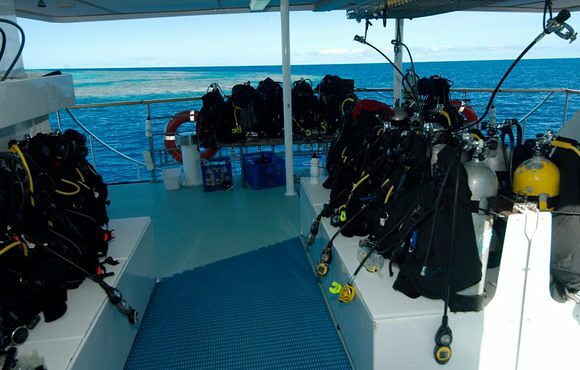 The recommended dive experience level for the 3 day Cod Hole & Ribbon Reefs dive adventure is open water diver to experienced. 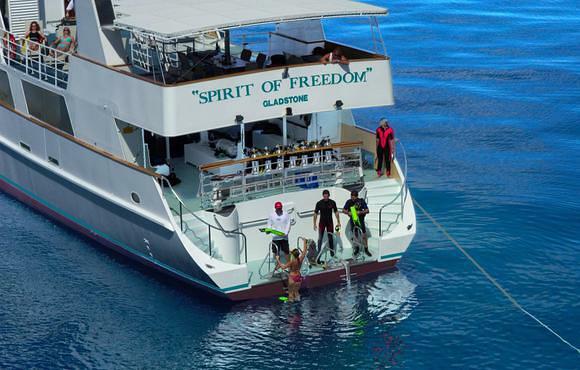 The Spirit of Freedom was custom built for long range cruising and to optimise the sea conditions of the Coral Sea region. 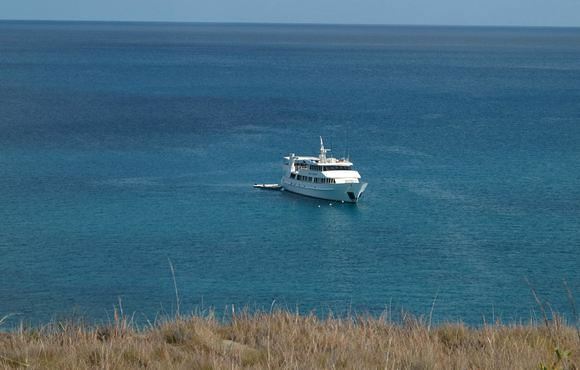 Design features such as the specific length of the vessel, combined with electronic stabilizers ensure maximum sea keeping capability for greatest passenger comfort. 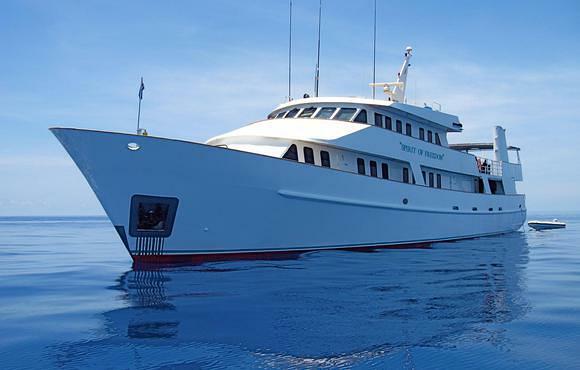 In 2008 a state of the art air-conditioning system, specifically suited to tropical conditions was fitted, enabling fail-safe air-conditioning throughout the vessel. 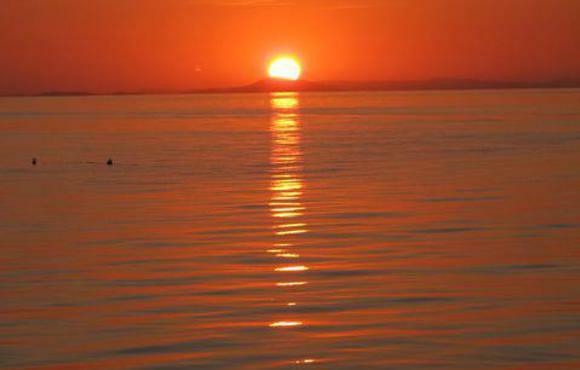 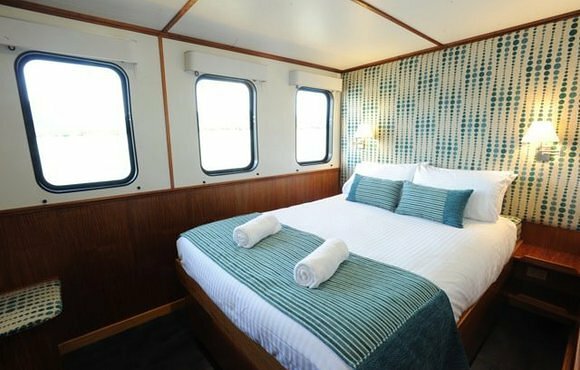 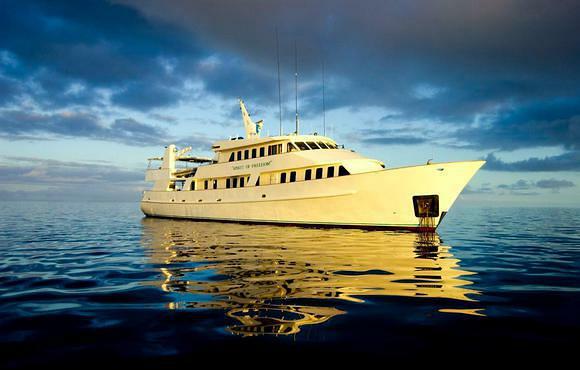 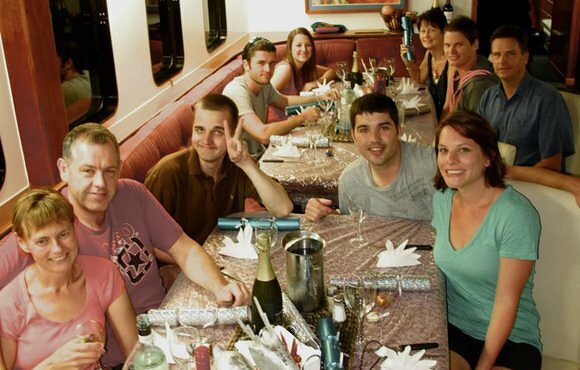 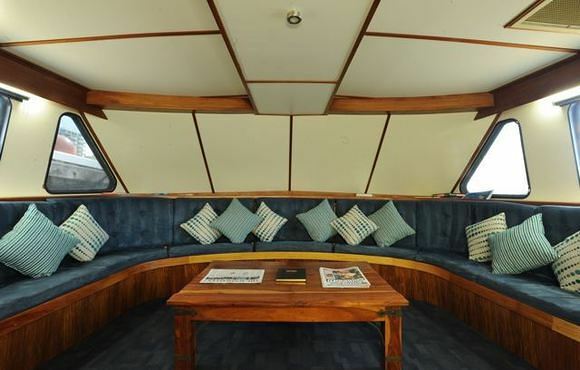 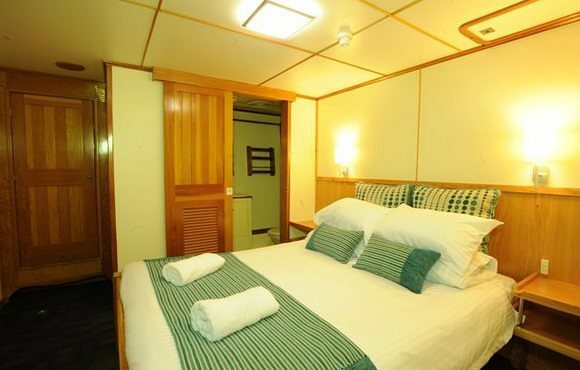 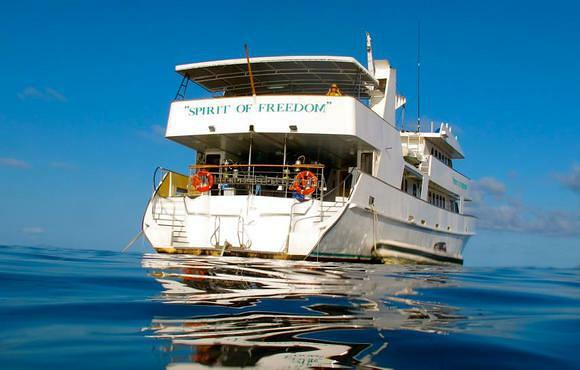 Your last night is spent on board the 'Spirit' in the bay at Lizard Island. 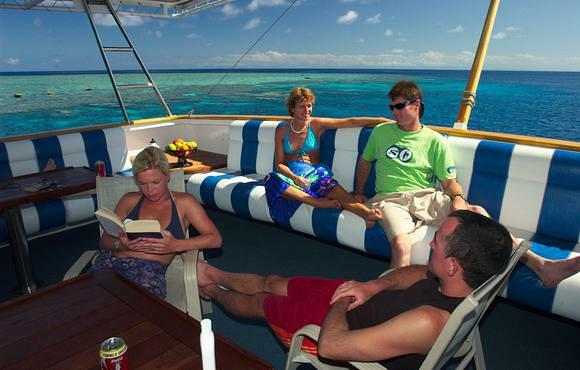 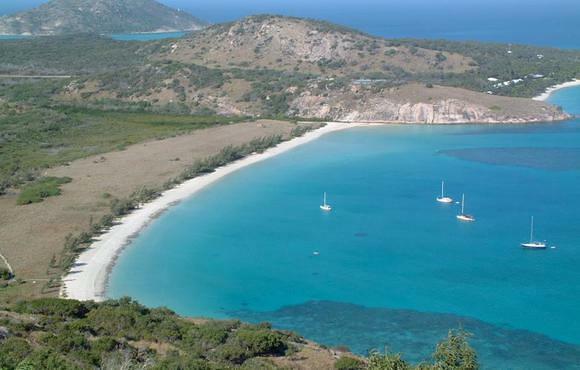 Enjoy time ashore at Lizard Island the next morning, before boarding your return flight to Cairns. 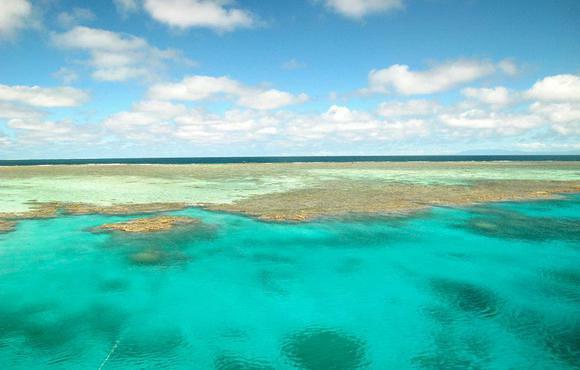 The one-hour, low-level scenic flight back will arrive in Cairns around 11:30am on Thursday. 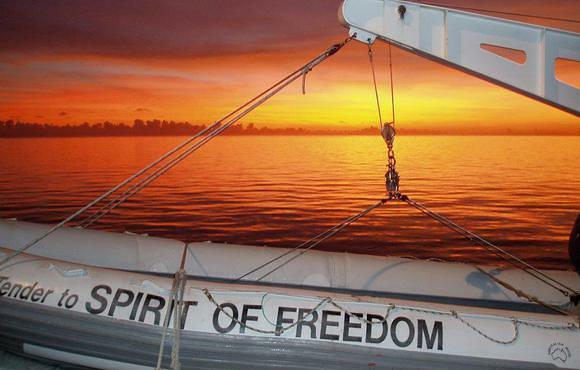 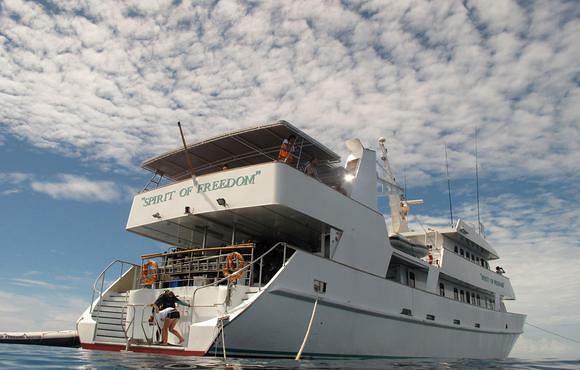 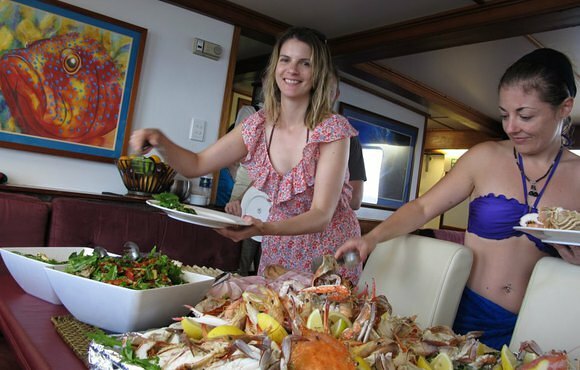 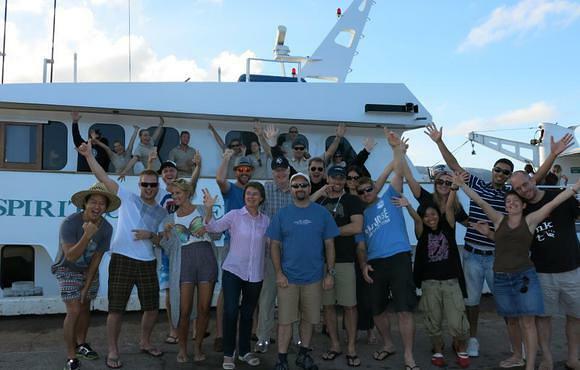 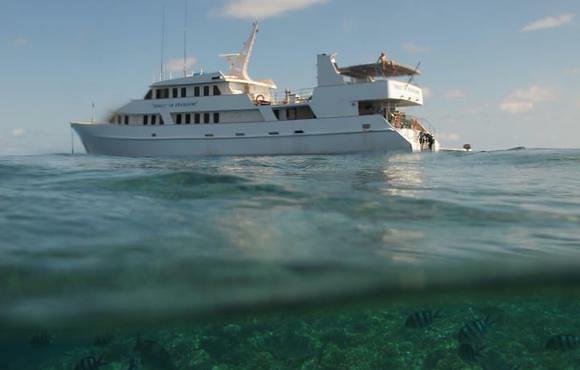 Spirit of Freedom offers unsurpassed liveaboard cruising for the discerning diver. 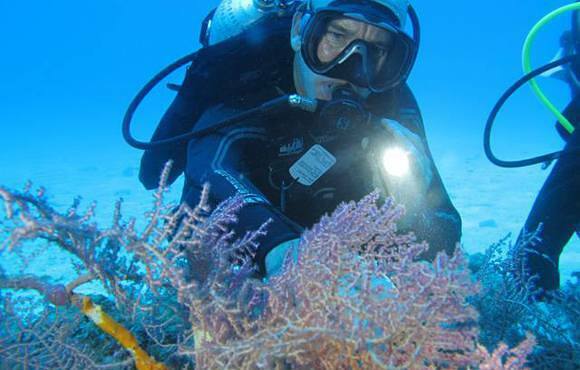 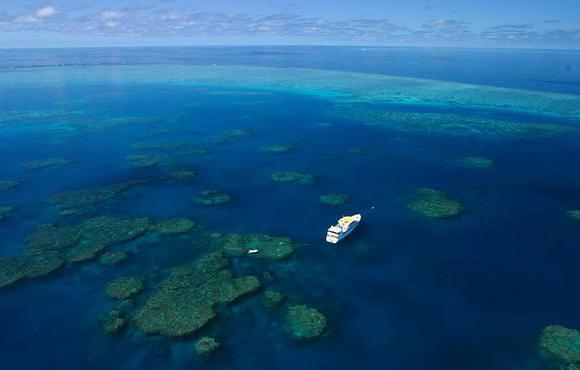 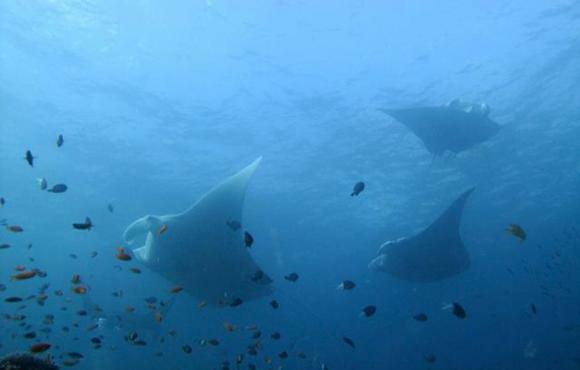 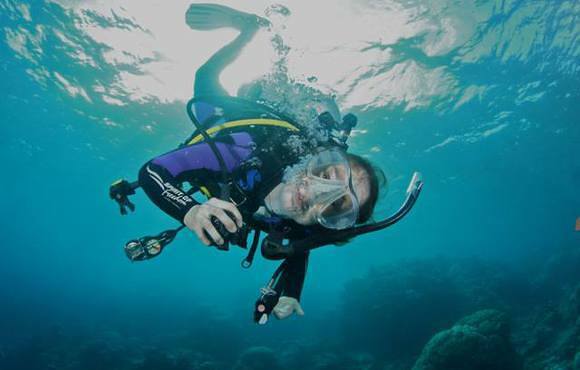 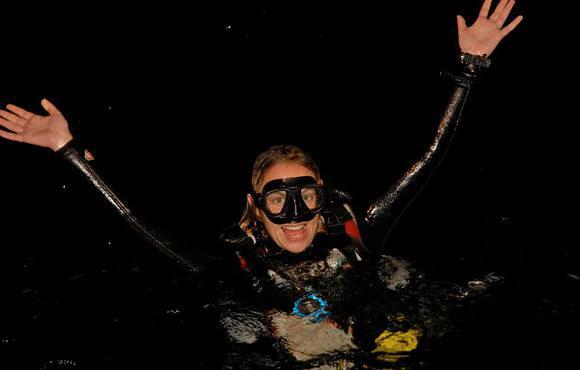 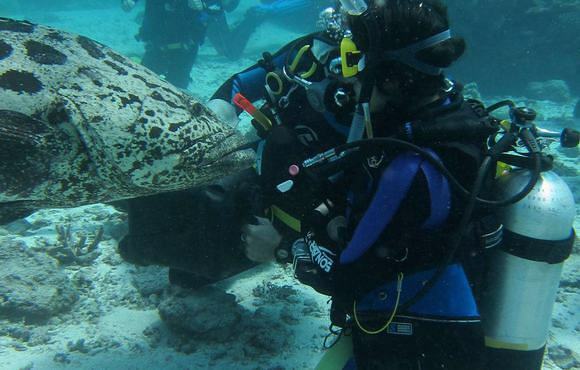 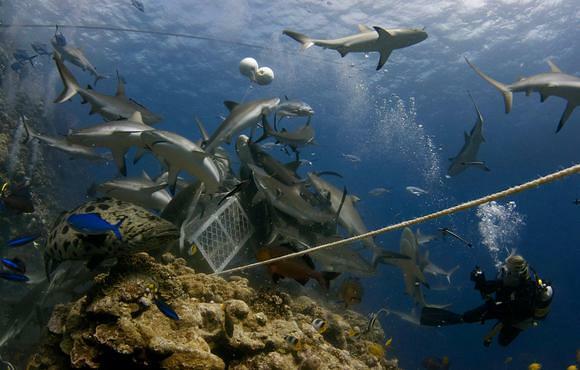 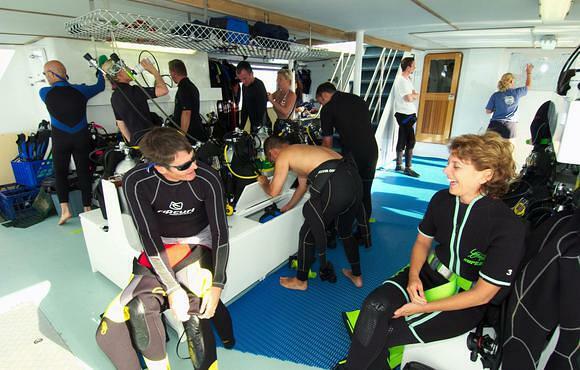 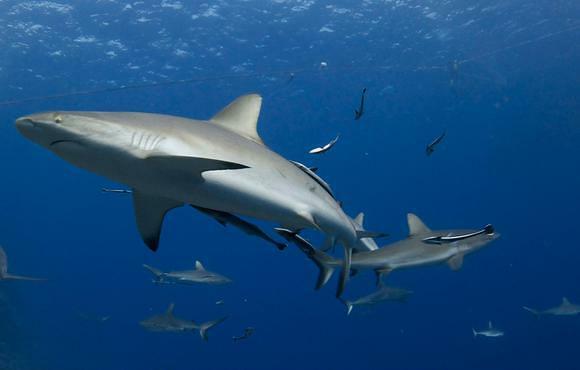 Experience some of the world best diving, with the vertical walls of Osprey Reef, shark diving in the Coral Sea.